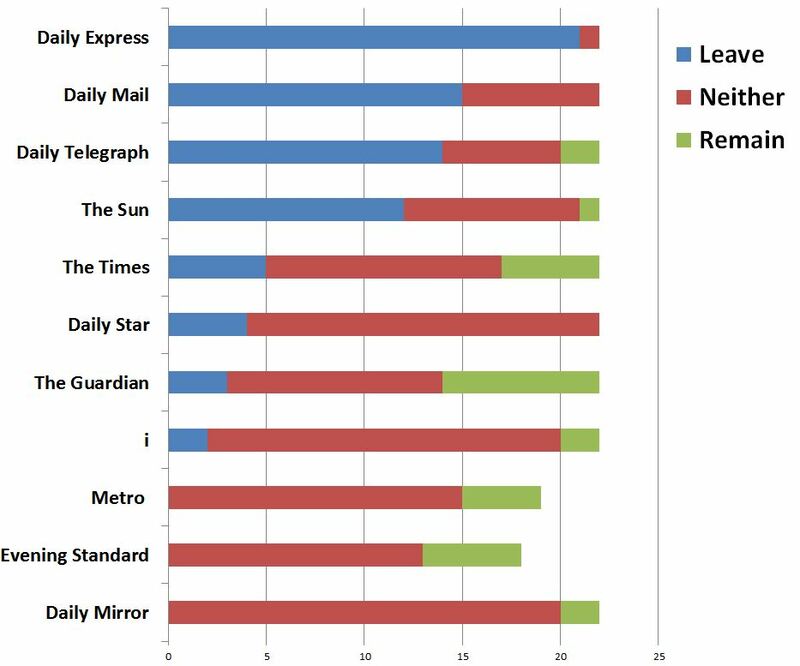 The majority of British newspapers supported Brexit in the EU referendum, according to Press Gazette’s Brexitometer. Press Gazette has been tracking the coverage of Europe in all of Britain’s national newspapers, and has discovered that more of us read a publication that backs Leave than read one that backs Remain. The Brexitometer counts front-page stories favouring either Leave, Remain or neither and then totals the circulation of the newspapers involved. At a glance, you can see how many readers are getting each type of endorsement. In the days leading up to the EU referendum, the Daily Mail, Sun, Sunday Times, Express and Daily Telegraph have endorsed a Leave vote, while the Guardian, Mirror, Times and Mail on Sunday have backed Remain. However, the Press Gazette analysis has found that the Times and Guardian have been relatively even-handed in their choice of front page stories, while pro-Brexit titles such as the Sun and Mail have reflected their stance more strongly in their coverage. The Mirror, Metro and Evening Standard have largely run apolitical front pages throughout the campaign.